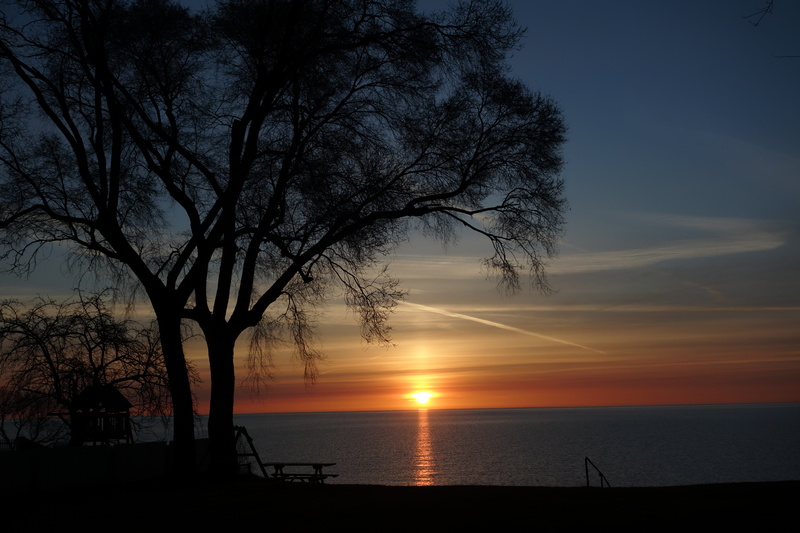 Evergreen Shore | Celebrating Great Lakes Living! This is more of a recipe than it is an actual pattern. I rarely follow a pattern exactly as it is written. I’m a rebel in that way! The beauty of a recipe instead of a pattern is you can customize the design any way you like, to fit any size. I can’t wait to see how you make this recipe your own! Fold piece in half, right sides together. Slip st in the FLO of last row worked and BLO of the chains the first 9 sts,(if making the fingerless gloves, slip st in the BLO of the chains only for 5 sts (this creates the thumb hole for the fingerless gloves. 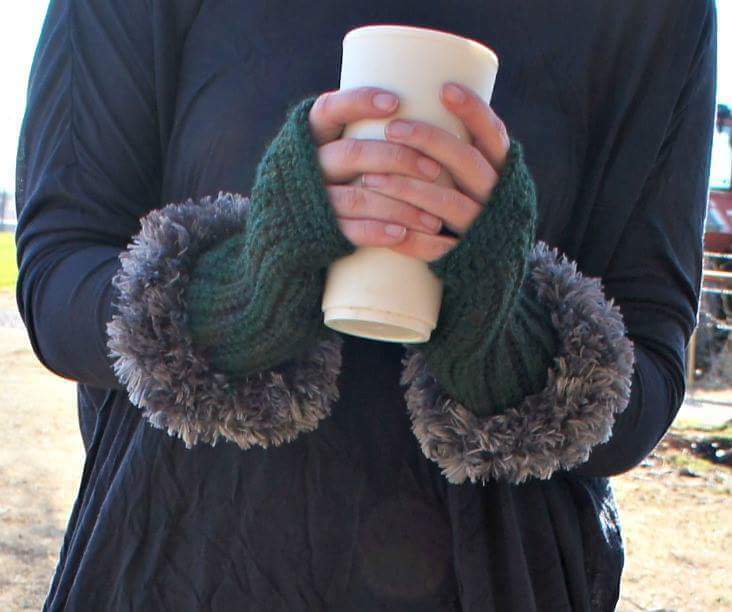 If you choose to make boot cuffs, continue to slip st in both sides all the way to the last st), slip st in the last 4 sts in the FLO of the last row worked and the BLO of the chains. Do not fasten off. Turn Right sides out. Work in the round, do not turn at the end of the round. Round 1: Ch 1, sc evenly around. (I worked 20 sts into 16 rows) Join with a slip st to the first st of the round. Round 2: Ch 1, hdc in ea st around. Join with a slip st to the first st of the round. Round 3: Ch 1, sc in ea st around. Join with a slip st to the first st of the round. Round 4: Loosely (or use the next hook size up) slip st in the BLO of ea st around. Turn the piece wrong side out. Attach the ww yarn to the opposite end with a slip st at the join. Ch 1, sc evenly around the same number of sts as you did at the top (I worked 20 sts into 16 rows). Fasten off, weave in end. Attach the fur yarn to the first sc of the last round. Round 1: Ch 2 (counts as first st), dc in ea st around. Join to the top of the ch 2. Fasten off, weave in ends. Turn right side out. I hope you enjoyed this little recipe of mine. Stop by again soon! 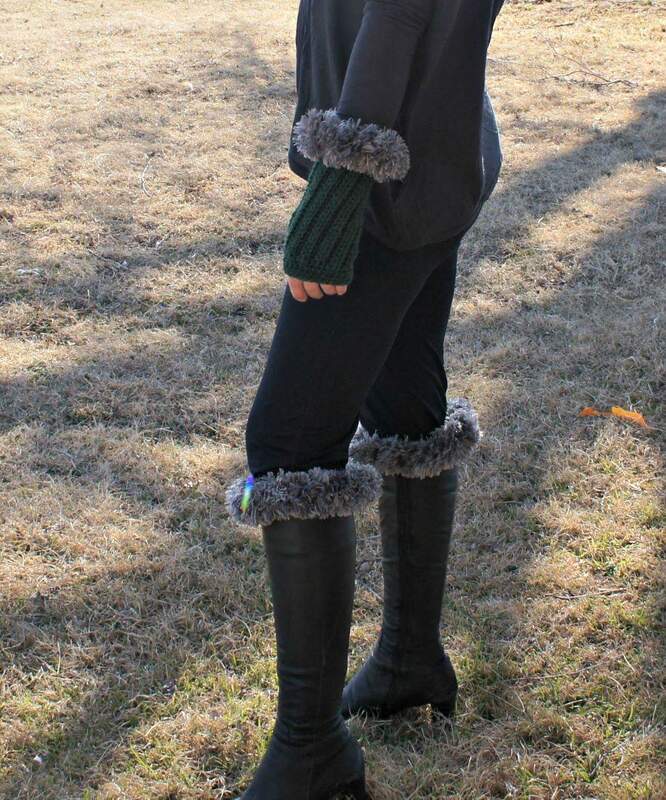 The Cabled Fur Trim Hood is perfect for those late fall days when you are not quite ready to put on your winter coat. Make it in your favorite neutrals or go bold with bright colors for the teens. 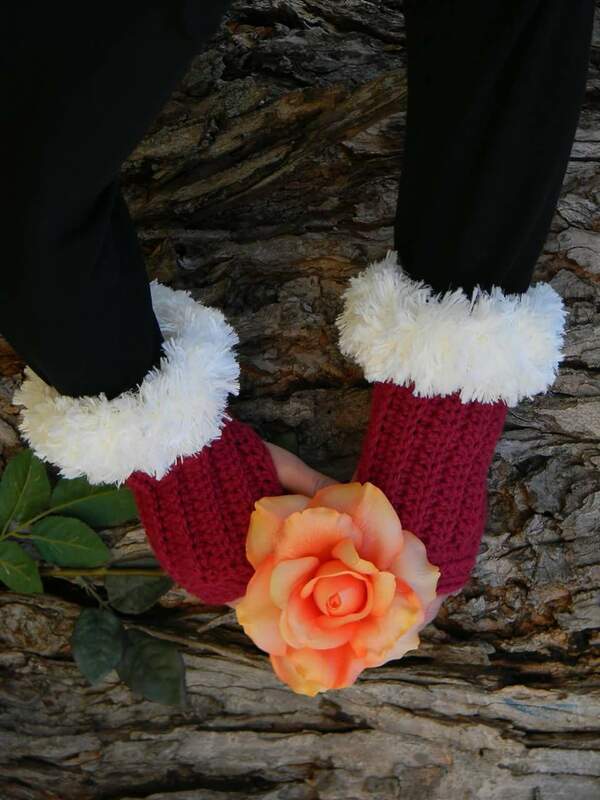 You could use your favorite team colors for those chilly sporting events too. Both teens and ladies alike will love wearing this trendy accessory. Pair it up with the Retro Fur Collar to complete the look. 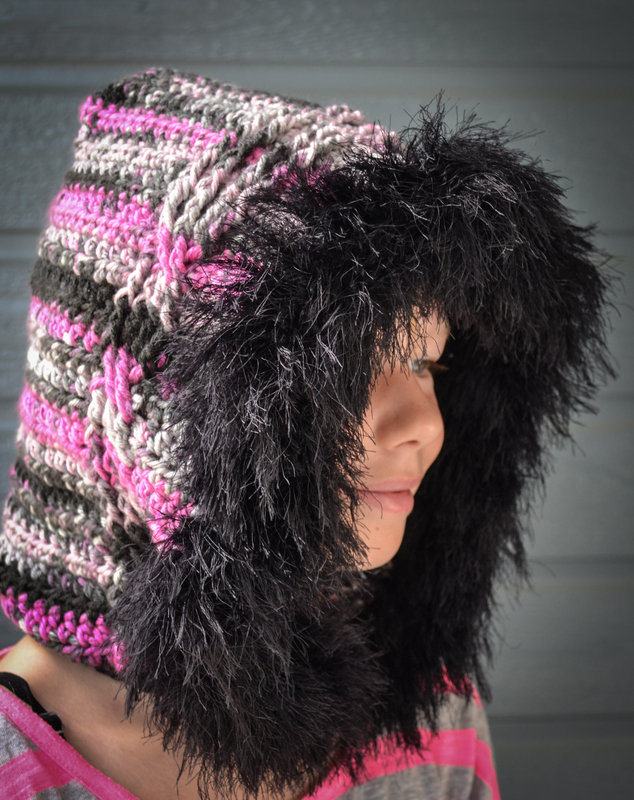 The Cabled Fur Trimmed Hood is my current submission to Cre8tion Crochet. © 2015 Krista L Short / Evergreen Shore. All Rights Reserved. 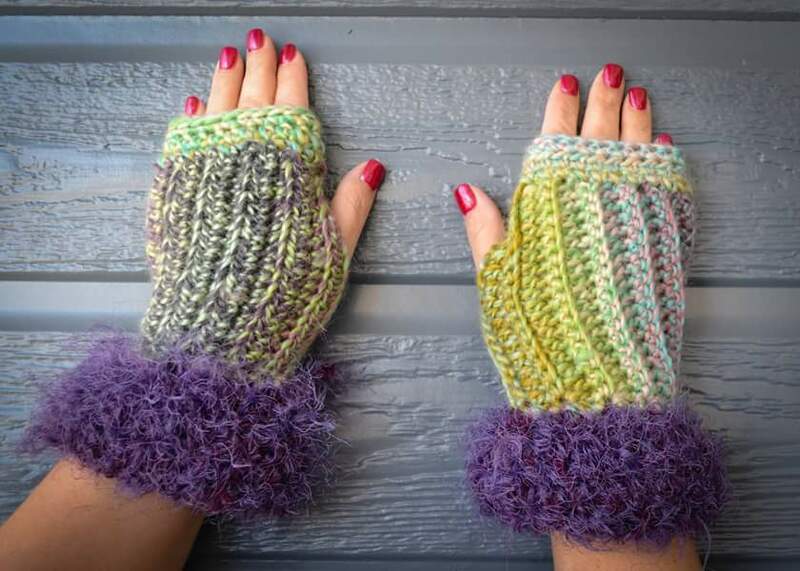 Click HERE to add this pattern to your Ravelry favorites. 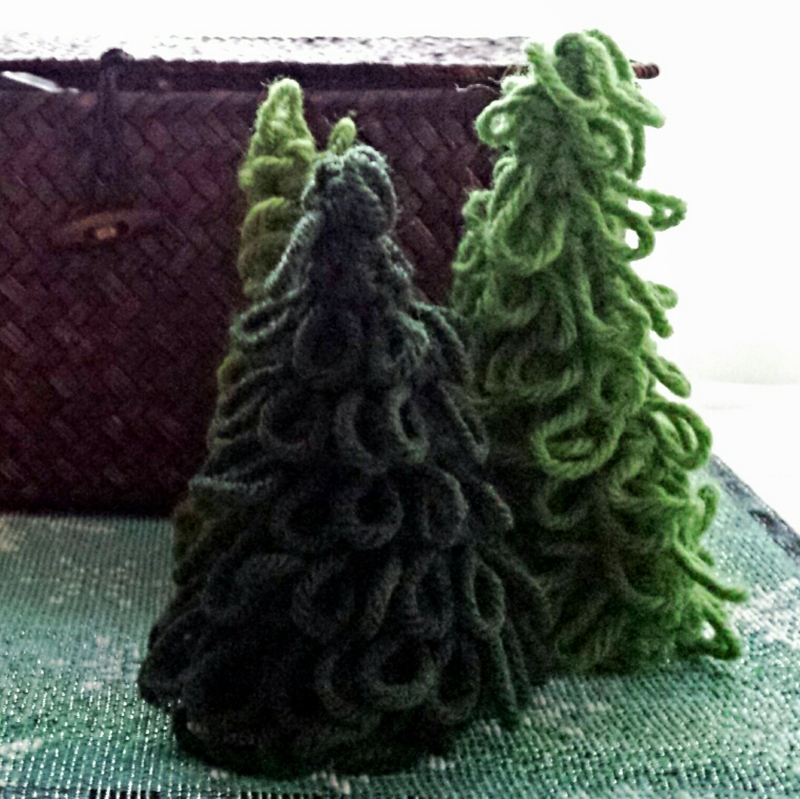 Working with fur yarn takes patience, but it is also very forgiving. It can hide small imperfections. Push the fur to the side or the back to locate the stitches. Make sure to count your stitches as you work. If you are new to cables I highly recommend watching this video from Tamara Kelly of Moogly. Thank you to Lois Everett for creating this handy cable reference! Fasten off leaving a long tail for sewing the top seam. With right sides together, fold the hood in half width wise. Whip stitch the last row together to create the top of the hood. With front of hood facing, attach wool-ease to the right hand bottom corner. 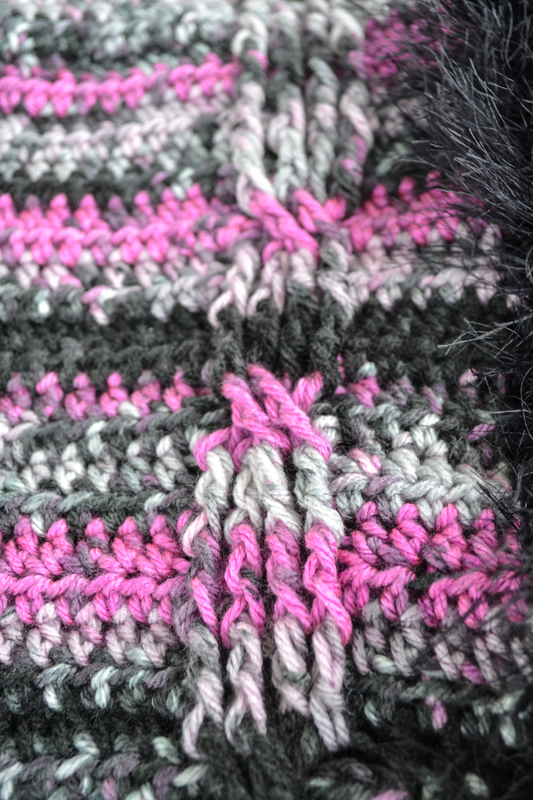 Slip stitch in every stitch across the bottom of the hood. Chain 10, slip stitch in same stitch as first chain.. Ch 1, work 10 sc in the chain stitch loop, slip st in last slip stitch made. Slip stitch in each slip stitch across. Sew button to the right side of the hood. Attach the fur yarn to bottom corner of the front of the hood. Welcome to the Evergreen Shore! Well, really it is just a figment of my imagination. 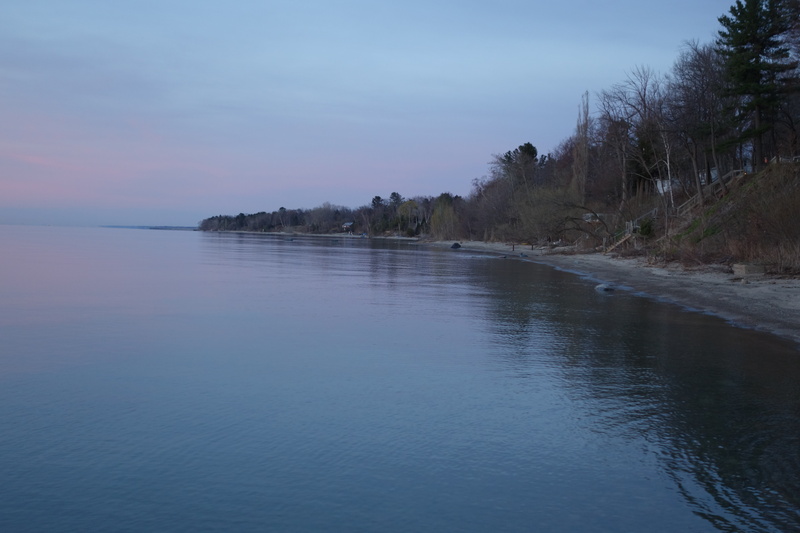 All of my inspiration comes from living just a stone’s throw away from the shores of Lake Huron. My husband and I bought a small cottage surrounded by woodland, mostly evergreen trees, about 20 years ago. We enjoy the downscaled, slower life of cottage living. Every day, we are amazed by the natural beauty that surrounds us. A couple of years ago, we decided we wanted to share the simple life we live with others. 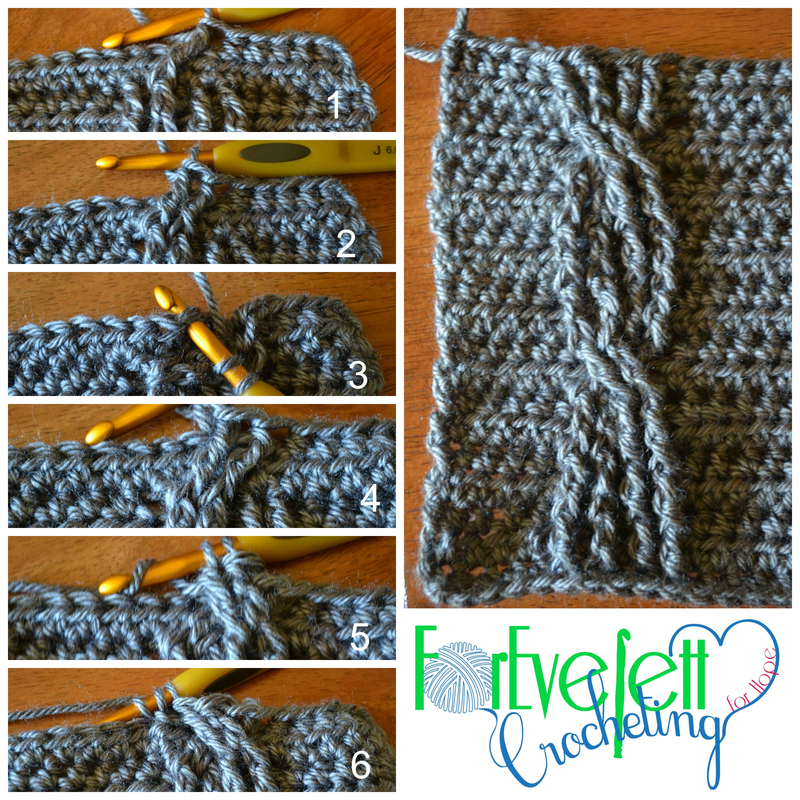 My husband dabbles in landscape photography, and I design crochet patterns. We are both inspired by our local culture and natural surroundings. Our collaboration of sharing our little piece of the world began with a Facebook page. Maybe you have seen us around there. So, the Evergreen Shore was born. We have grown a small following from around the country. 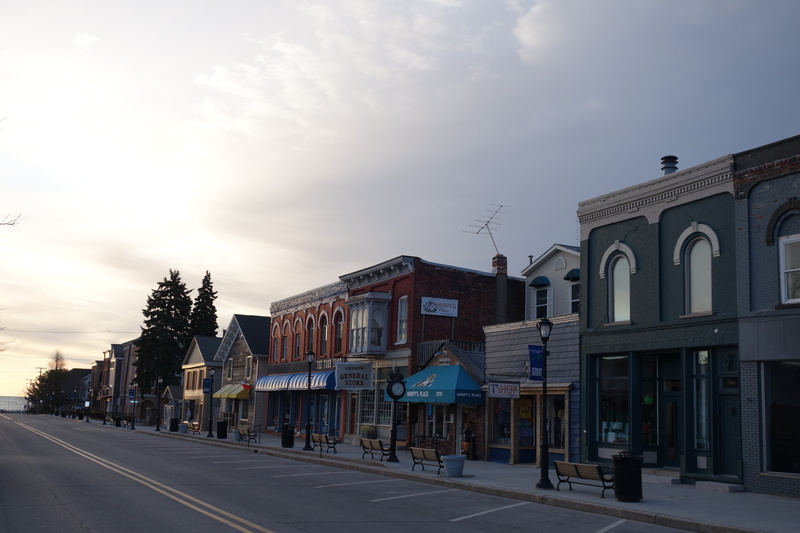 Most are folks who have visited our resort town and love it as much as we do. Recently, we decided to make the leap into the blog world. Facebook provides a great community platform, but sometimes we have a little more to say to you. So here we are, leaping into a bigger pond. We hope you enjoy what we have to share with you. A little local culture, a bit of photography, and a good dose of fiber fun.